This post originally appeared on Katie Warner’s blog, KatieWarner.com. So what are some traits of a strong spiritual head of a family? They recognize that it is a sign of true masculinity to call on God for guidance and to surrender to His will. 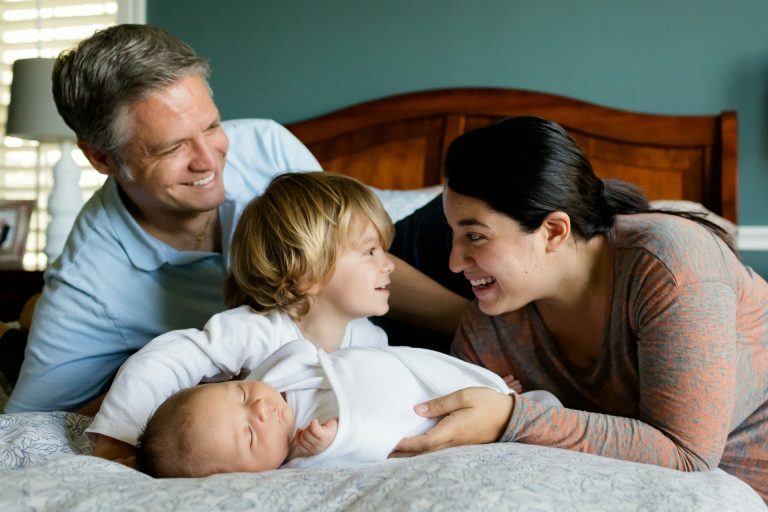 While our culture may tout pride as a masculine virtue, strong spiritual heads model the virtue of humility for their families, making daily steps to conquer their desire to be right, or to seek acclaim and accomplishment, instead opting to devote time to showing their families how to give credit and glory to God, seeking to please Him first and foremost. Strong spiritual heads are bold about their Catholic faith—at home, at work, and in public. They aren’t afraid to make decisions in light of their faith and to let others know that they are Catholic, not just in name, but in active practice. They acknowledge the importance of seeking accountability, encouragement, and fraternity with other men and make it a regular habit to do so. Friendship with St. Joseph. Strong spiritual heads often cultivate beautiful devotions to Our Blessed Mother, but they also lean on the intercession of St. Joseph to help them in their immense task of caring for their family’s physical, emotional, and spiritual needs, as St. Joseph gallantly did for Mary and Jesus. A habit of sacrifice. Strong spiritual hearts seize frequent opportunities to give of themselves, to die to their own desires, inclinations, or preferences for the good of others, especially for the good of their husbands and children. They master the art of self-gift, giving everything from their bodies to their time, talent, and energy for those they love, and they find joy in doing so. within their families. They offer their children to God, recognizing that they are first and foremost His children (read Hannah’s story in 1 Samuel for an awesome example of this), and then they throw themselves into His Divine Mercy, trusting He will care for them and for their families. Reliance on grace. Strong spiritual hearts rely on God’s grace to tackle the colossal responsibility of motherhood. His grace animates their daily lives—carrying them through their household chores and their efforts to provide emotionally, physically, and spiritually for their families—and comforts them when they feel exhausted and worn. They see His grace at work in their family life, and they can’t imagine living without it. strength, serving and loving the Lord and their families with all their might (Deut 6:5). The strength of a wife and mother often goes unseen, but its presence is most certainly felt and needed by their families. Friendship with Mary. Strong spiritual hearts take their leadership cues first and foremost from Our Blessed Mother, the immaculate model of spiritual “heartship.” Seeing her as the most exemplary wife and mother that ever walked the earth, they implore her intercession and cultivate an intimate relationship with her to help them become more beautifully virtuous like her. They ask her to wrap the mantle of her love and protection around each precious member of their family.